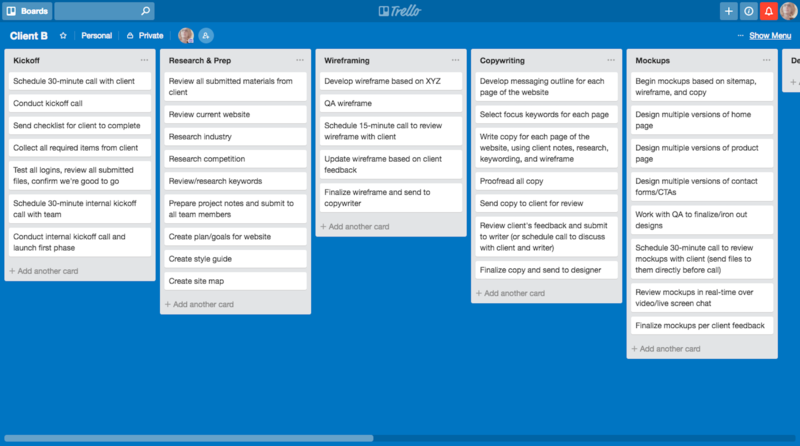 Last year, Rachel McPherson shared 9 ways to organize successful creative projects. It’s a very useful article that highlights the main things to do if you want to bring greater control and organization to your web design workflow. 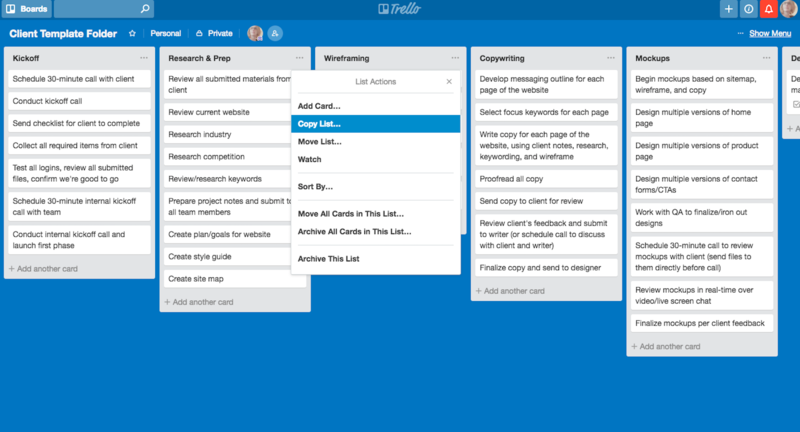 Tip #2: Take Advantage of a Project Management Tool, is the one I want to focus on today. 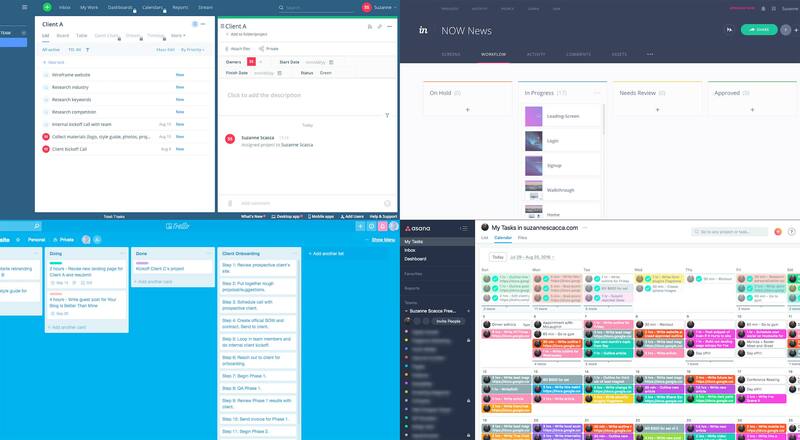 Specifically, I want to look at some of the best tools for web designers, how to choose the right one for you, as well as give you a quick lesson on how to use project management templates to improve your workflow. 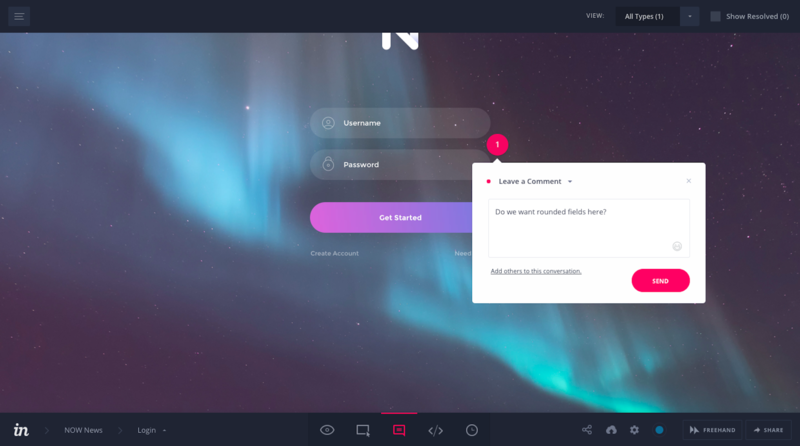 Of the four, InVision is the only one strictly made for the web design process. As such, there’s a greater emphasis on managing design work. 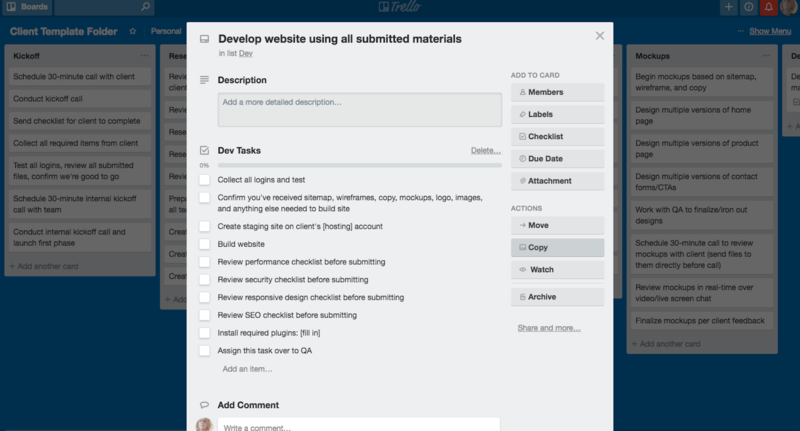 There are limitations to what you can do with a design task management tool, so you may find one of the other options a better choice if your goal is to bring greater control to projects, client communication, and team collaboration. 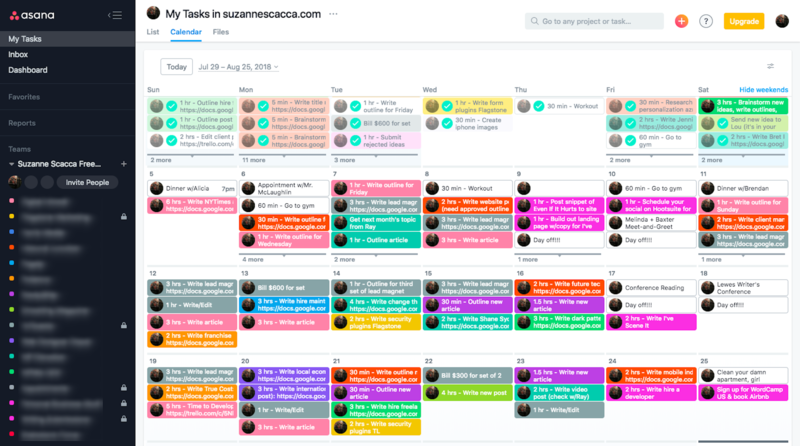 Most task management software you’ll find comes either with a free plan—typically for one person or a strict limitation on the number of projects—or with a free trial. Typically, you can get a good sense for whether a platform will be a good fit for you or not within 15 minutes. This is nice as it allows you to try a tool before adding on another business expense. 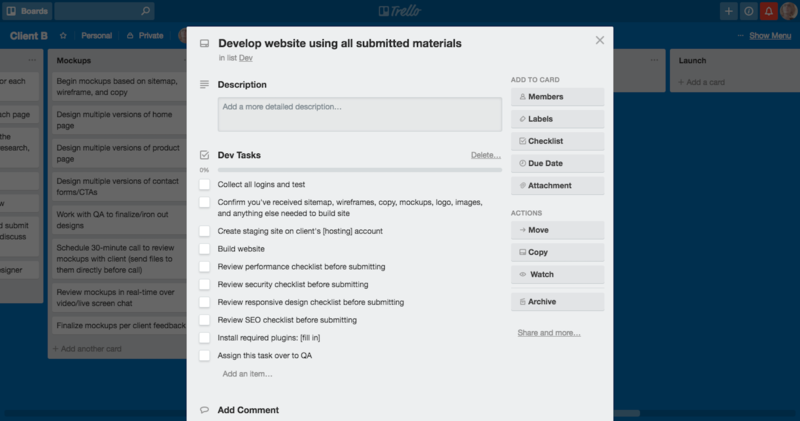 Project management tools offer a variety of workflow styles and views. This happens to be my preferred style since I work on shorter-term and one-off assignments as opposed to longer jobs that require greater organization of tasks, sub-tasks, and timelines. 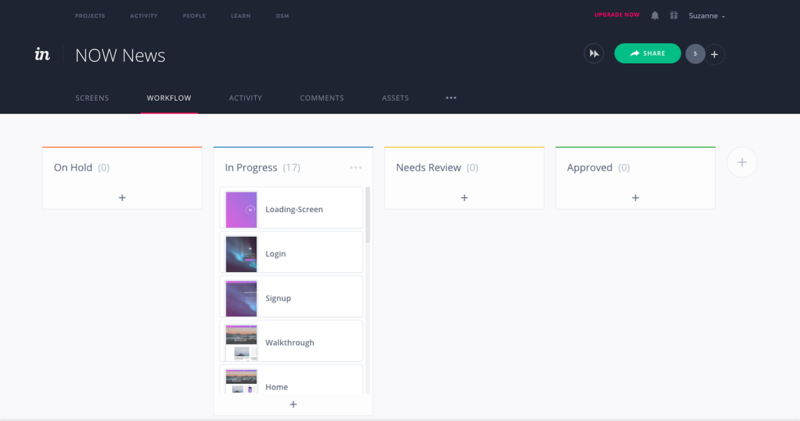 Asana has list views and kanban boards, too. Basically, you create high-level folders dedicated to each client (you can also break them up at the project level). Within each board, create columns for each phase of your project. The cards that fall below them are then dedicated to each of your tasks. 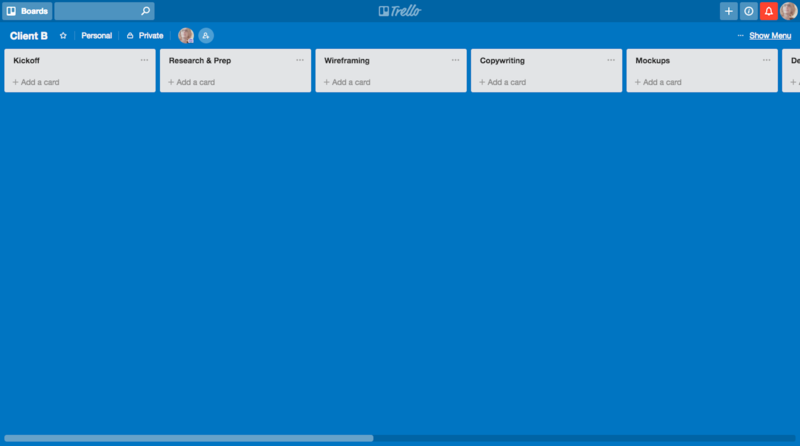 If you prefer this type of card-sorting system and visualization, Trello is a great choice. All the same tasks are present; they’re just displayed differently. Asana for designers that work on smaller or shorter jobs. 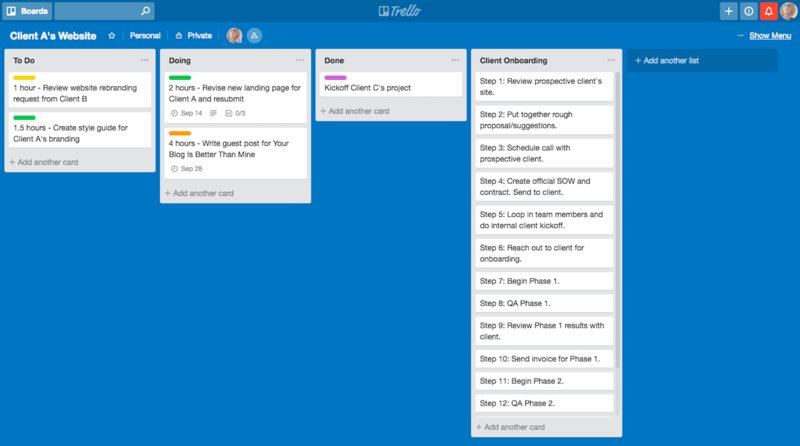 Trello for designers that need greater control over lengthier project phases. 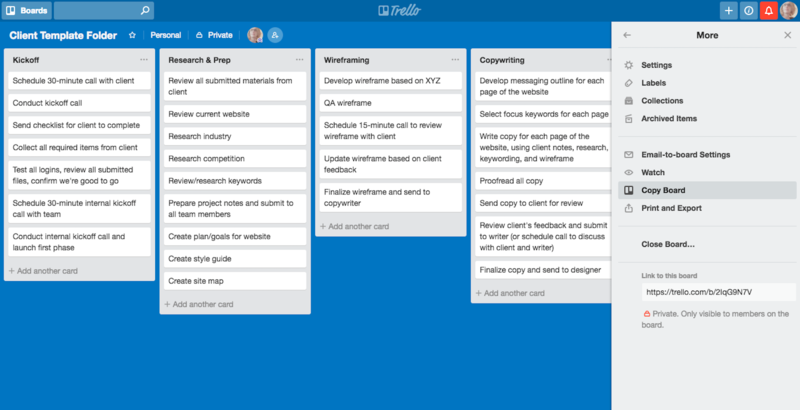 Wrike for designers that have a growing team and client list and want to offer more flexibility to them. 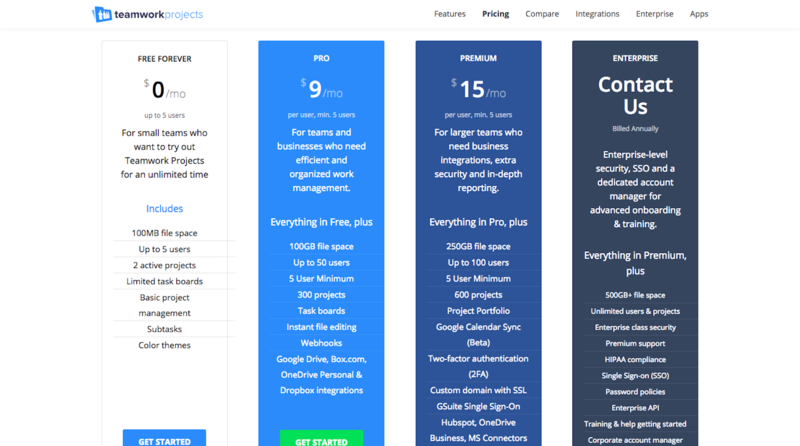 Before upgrading to any premium tools, take some time to get acquainted with the base (free) product. Once you’ve found one that fits you well, you can upgrade when the time is right. Centralization of communication, files, status updates, etc. I think each of the points above—except for maybe the last one—are obvious when you look at how these project management tools work. However, if you’ve ever dreamed of working less while making more money, you really should be taking advantage of automation. 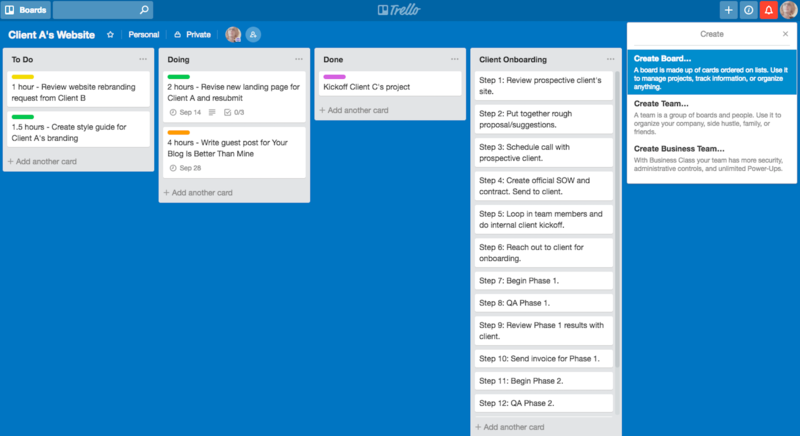 Specifically, I’m talking about project management templates. In the top right corner, select “Create Board”. Name it, add your team, and create. 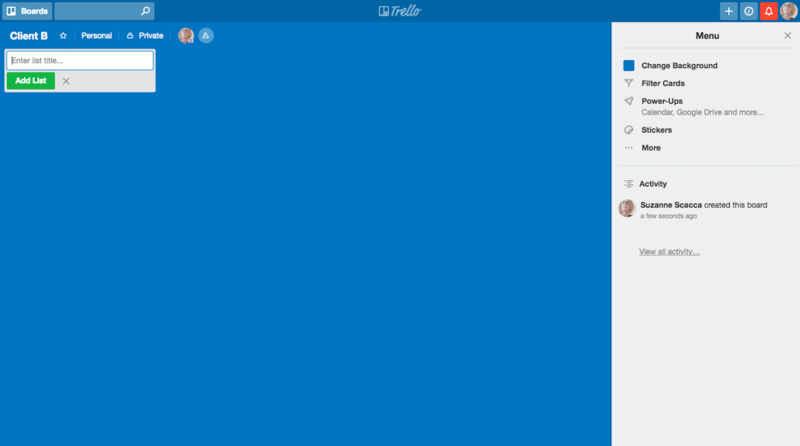 To create your phases (known as “Lists” in Trello), start typing. Make the buckets as big or as small as you want. The organizational structure and workflow are up to you. Again, it’s up to you to decide how you want to manage your projects here. With your project folder, phases, and tasks all broken out, this template is now ready for you to use. To copy a project (board), click on “…Show Menu” in the top-right. Expand the “…More” option. Then, select “Copy Board”. To copy just one of your project phases (lists), click on the “…” in the top-right corner of the list. Select “Copy List”. And to copy an individual task (card), click on the “Copy” button under Actions. If you can believe it, it’s really as easy as that. Simply break down your workflow however you best can manage it. Then, copy it! If you’ve been using inefficient project management tools or have been relying on too many spreadsheets to keep everything in line until now, it’s time for a change. There’s so much you can do with the right project management tool, not to mention the time-saving and profit-boosting benefits that come from templatizing your process with them!